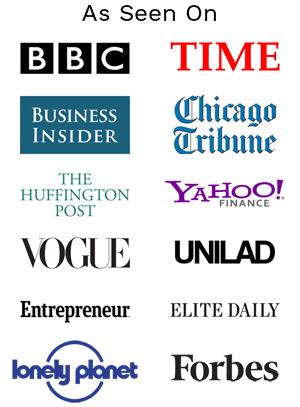 Top UK Travel Bloggers – 30 of the Best UK Travel Blogs! Thinking of escaping from it all and taking a year out? Seeing the world before you commit to university or a new career is one of the most amazing choices you can ever make. Be different, be inspired and take yourself out of your comfort zone. Ready to escape the ordinary? 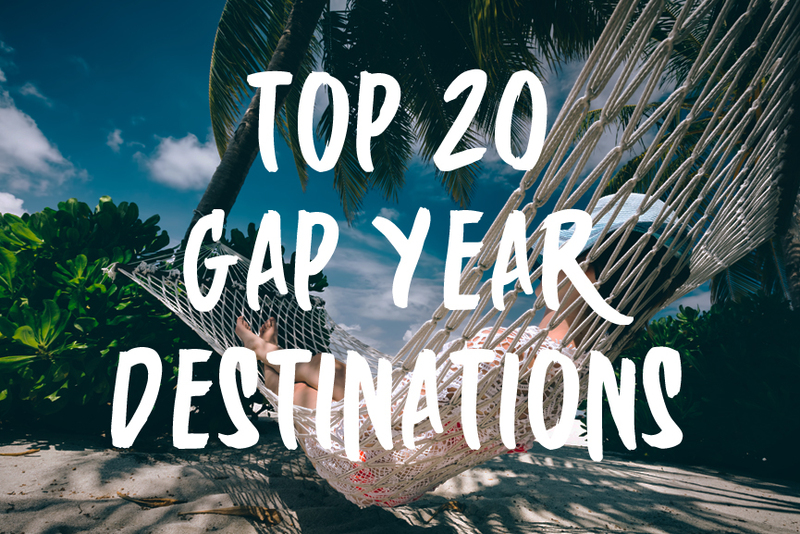 If you are looking for inspiration, put your feet up and enjoy our guide to the top 20 gap year destinations the world has to offer. 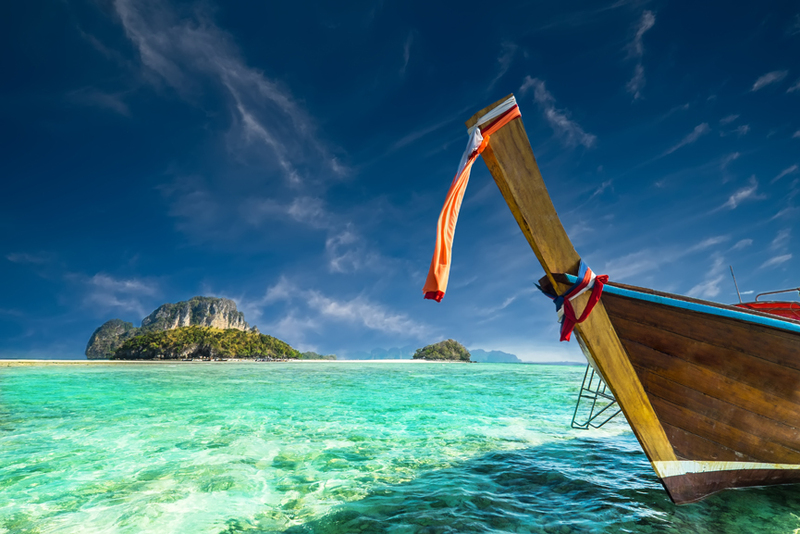 Thailand is a country full of beautiful beaches, exotic islands, hedonistic party island nightlife and is culturally a world away from the life in the UK. An easy introduction to backpacking awaits you in Thailand as the country has been a popular backpacker destination for many years. On your travels you will be hard pushed not to meet fellow explorers from around the world, and together you can experience everything the country has to offer. Thailand is hot and potentially muggy all year round, but the monsoon season that hits during May to October is possible the most uncomfortable time to visit. The climate is cooler from November to February and hot from March through the May. Australia is one of the most popular backpacking destinations in the world and offers an easy transition from life in cold old Blighty to an English speaking nation bathed in sunshine. That is not to say that Oz is effectively the UK on sea, it is a vast and truly magnificent country with plenty to offer every visitor. 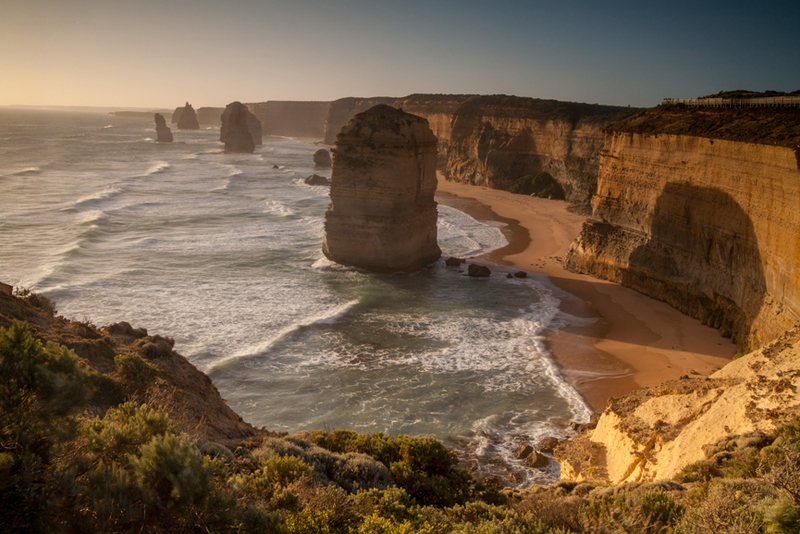 From the vibrant cities of Sydney, Melbourne and Perth to the barrier reef towns of Cairns and Townsville, the Australian continent offers everything from lush rainforests to arid deserts and everything in between. Australia is a comfortable place to visit, with many of the benefits of western living easy to come by. You can also seek employment in Australia provided you have a working visa in place before you leave. Australia has its summer during our winter and visa versa, and it can be slightly cheaper to fly there during their winter. 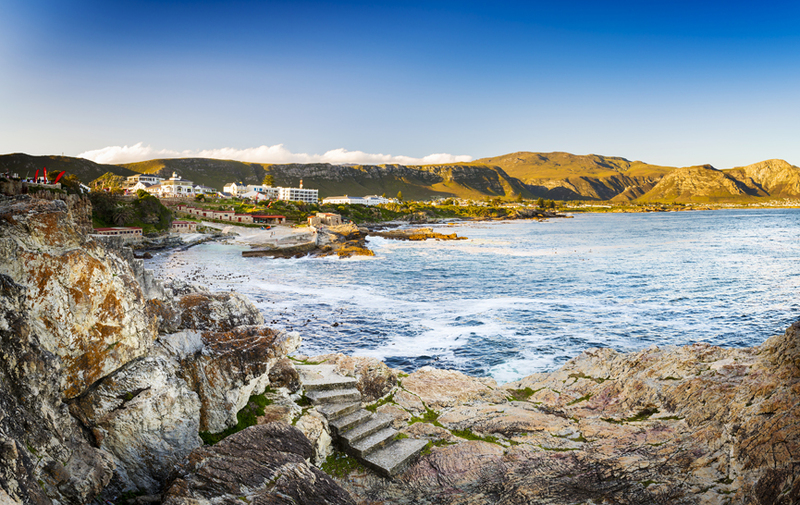 South Africa is a country full of pristine beaches, breathtaking natural beauty, amazing wildlife and sea as far as the eye can see. Cities like Cape Town and Durban offer vibrant nightlight and heaps of culture, as well as fabulous food and plenty for thrill seekers from all over the world. The country is a melting pot of cultures, colours, languages and traditions and from the cities to the bush there is plenty to explore. You may be hard pushed to find work while you travel through the country though, as there are strict rules about foreign workers unless you have secured a position before you arrive, and even then the Visa process is complicated and lengthy. Volunteer work with animals or on conversation sites can be found though, if you want to do your bit while you are there. 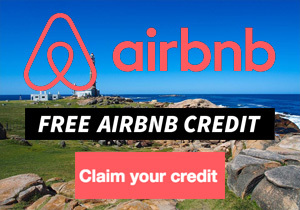 The best time to visit is between April and September. As one of the most visited countries in South America, Peru is full of unexpected delights. 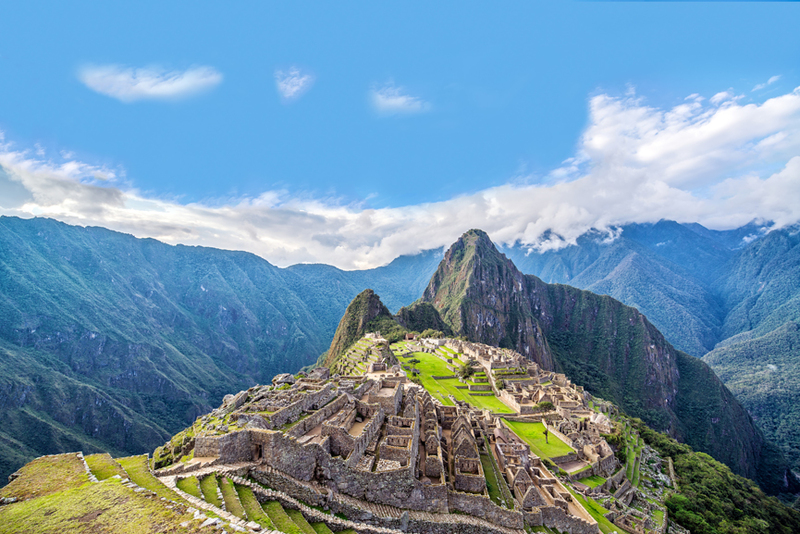 From trekking along the Inca trail to the heights of Machu Picchu or the still waters of the Amazon, Peru is a world away from everything you know at home. With stunning scenery, and the vibrant party city of Lima on your doorstep, Peru is easy to fall in love with. If you need to work while you are there, you should be able to obtain a 90 day working Visa but English speaking work can be hard to come by and the wages are low. The best time to visit is from May to September, outside of the wet season and during their winter. Vietnam is a country of contrasts. Filled with stunning natural beauty and surrounding by breathtaking island resorts, you can find yourself on beautiful beaches, in modern and dynamic cities or in traditional hillside villages from one day to the next. Hanoi or Ho Chi Minh City will electrify your sense and offer you all of the nightlife and culture you could every desire. 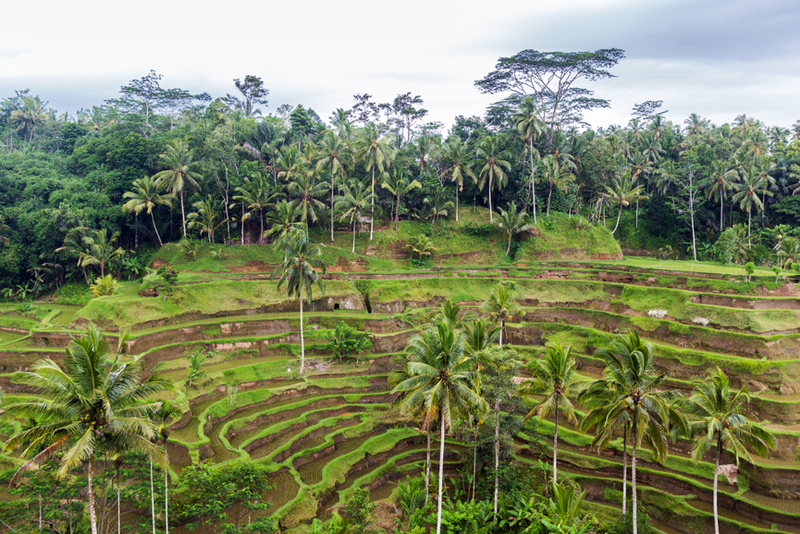 The more rural regions on the other hand, will give you a feel for the countries sometimes difficult history, while the coastal resorts will land you in the most perfect tropical paradise you could every imagine. 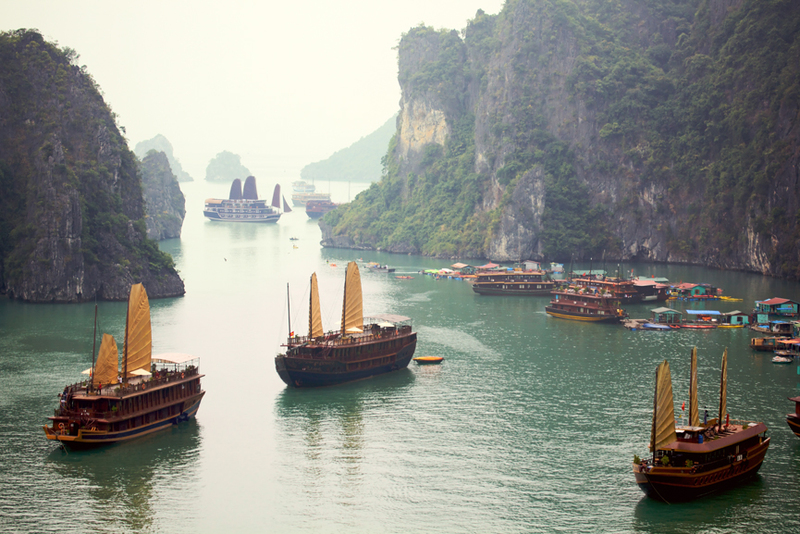 Working your way through Vietnam is feasible with the right type of Visa and the best time to visit is between February and April or August to October when temperatures are more moderate and rainfall is lighter. Brazil is famous for its endless stretches of golden sandy beaches, vibrant nightlife and warm friendly people. From the iconic landmarks of Sugar Loaf and Cristo Redentor in Rio, to the breathtaking Iguaçu Falls, this vast and hugely popular South American country is often forgotten by backpackers heading to Asia and the Far East. Prices are affordable here too, as the hangover from the last Olympics has left wider options for accommodation and has seen safety massively ramped up in popular tourist areas. 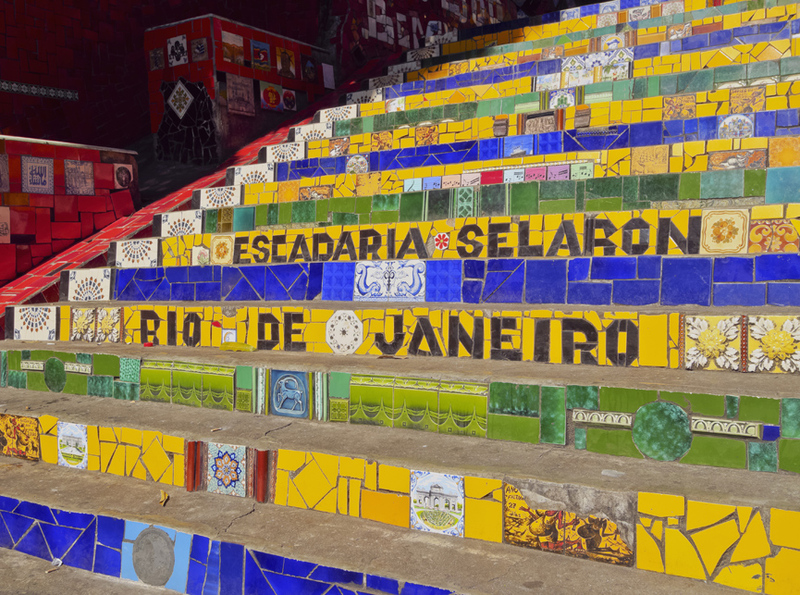 Working in Rio is not easy, although you may be able to volunteer to help teach English. The best time to visit is during the dryer months from March to November. Another backpacker right of passage, the colourful and beautiful country of India offers all the excitement and culture you could ever wish to experience. Few countries in the world can offer the depth of history, the contrast of scenery and the amazing culinary delights that India can. 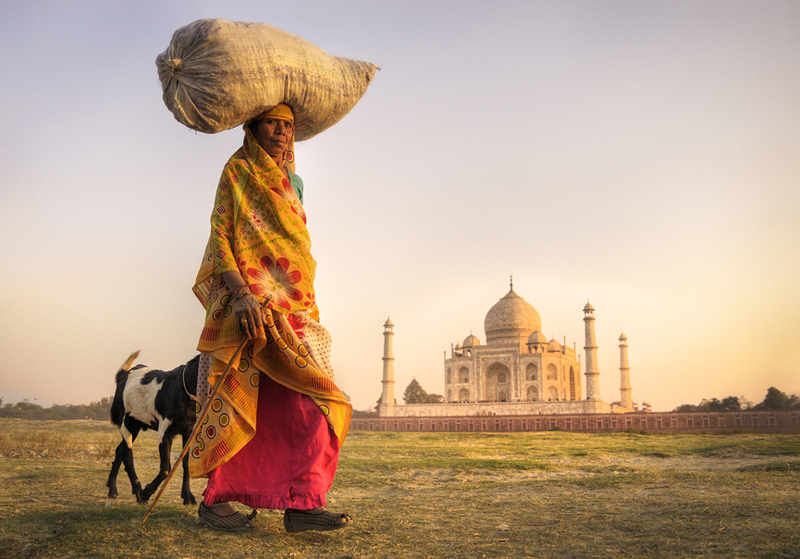 From the cities to the countryside, India offers exciting adventures around every corner. What’s more, it is one of the most popular backpacker destinations in the world, meaning that here are plenty of affordable ways to explore and places to stay. You won’t necessarily be able to work in India but there will be volunteer positions around if you want to help with environmental issues or teaching. The best time to visit is from October to March. If you do happen to get around this time, you must get involved in Holi Festival. New Zealand is a truly beautiful country full of jaw-dropping scenery, stunning beaches and lively and cosmopolitan cities. Sky-diving, bungee jumping, rafting, volcano hopping and everything else is all available here. 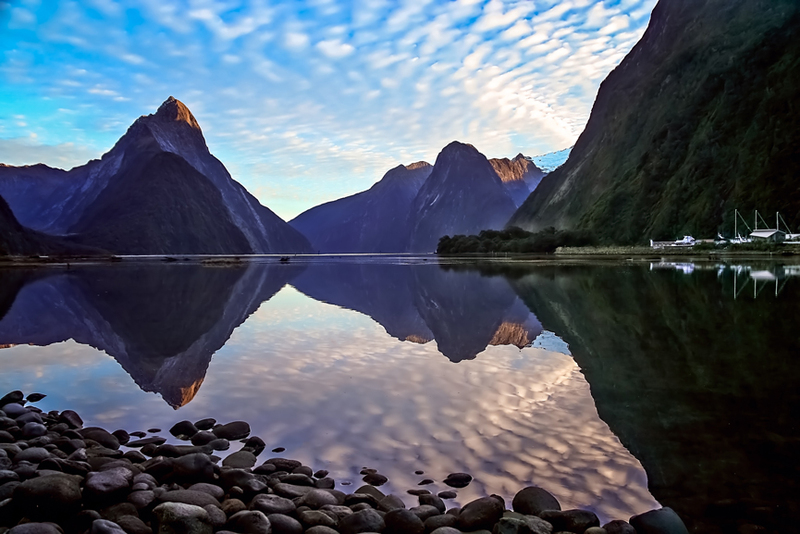 Both islands are filled with friendly locals and you will never be short of something to do in New Zealand. You can easily pickup short term work with the correct Visa and the best time to visit is pretty much all year round, although remember that their summer is our winter and vice versa. If you’re looking at a fun and affordable way of getting around New Zealand, try Kiwi Experience. Fiji is perfect for travellers looking to experience paradise on a budget and usually can be done as part of a round the world trip to or from New Zealand. Explore over 333 islands dotted throughout the Pacific as you dive coral reefs, unearth hidden waterfalls, swim with Manta Rays and get to know the friendly locals. 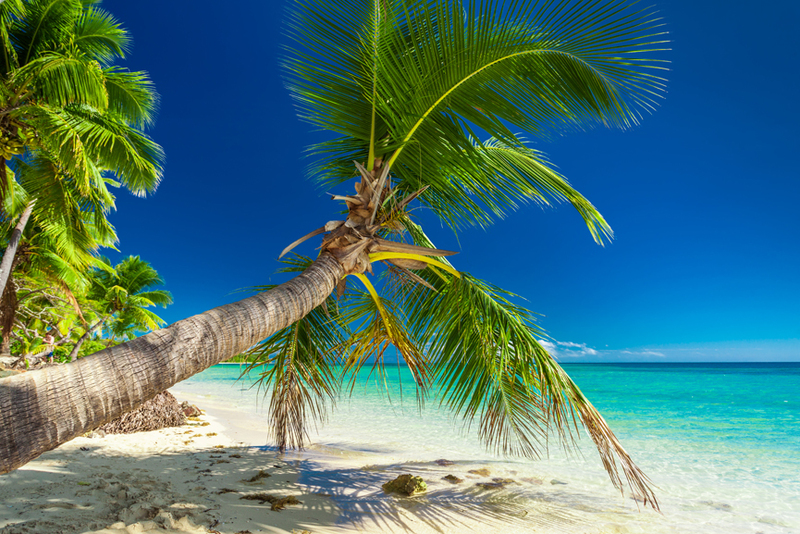 Grab you rucksack and explore the picture perfect tropical islands by boat or by plane. Finding work in Fiji is not easy as the authorities only offer work to non-nationals if there are no Fijian residents to fill the vacancies. The best time to visit is between July and September, although the islands are hot all year round. The rainy season is usually takes place during November to April. The tiny country of Ecuador has plenty to offer every intrepid explorer. 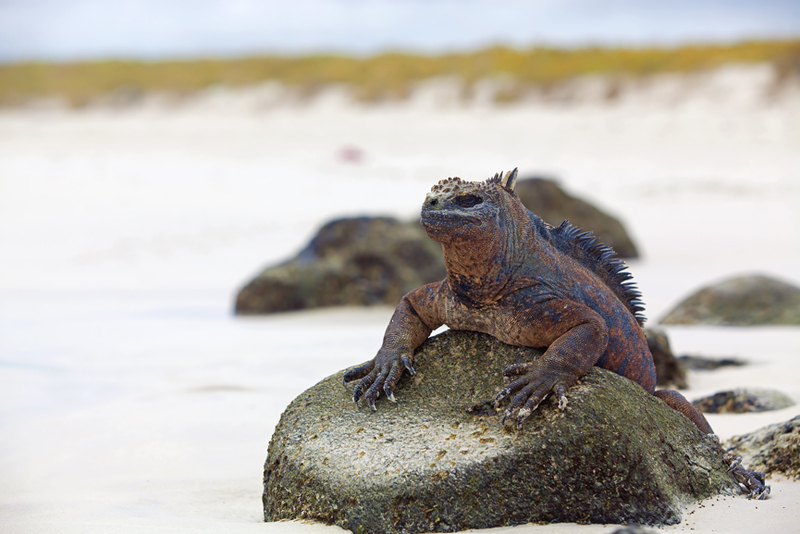 From the world famous Galapagos Islands, to the less well discovered but equally as fascinating Ecuadorian Amazon, a visit to this South American country is a once in a lifetime opportunity. The capital city of Quito is a UNESCO World Heritage Site and is steeped in history and latin culture. You can even take a tour up one of the countries many volcanoes, including resoundingly popular Cotopaxi Mountain. You would struggle to work legally in most South American countries, but in Ecuador you may be able to find volunteer work teaching English or working on one of the many conservation projects taking place on the mainland and across the islands. The best time to visit will vary upon where you want to be. It gets cold on the coast from May to June, so you may want to aim for the warmer, but wetter months of December and January or April and May. 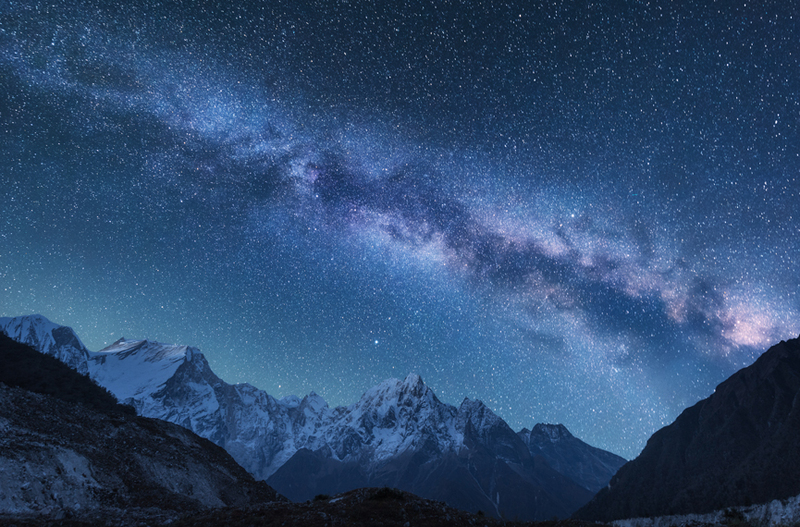 As the gateway to the Himalayas, Nepal is a popular destination for adventurers from all over the world. It is a veritable feast for the eyes, and offers some of the most amazing mountain ranges in the world. Trekking through Nepal is an adventure that you will never forget. The country has a rich and varied history and is proud of it culture and religion. From Buddhist temples to Hindu places of worship the iconography is there to see on every corner. You won’t be able to work in Nepal, but you should find that everything is reasonable priced here anyway. The best time to visit is from September to November when the rains clear and the skies are clear, making it perfect trekking weather. Watch wildebeest roam across The Serengeti, climb Mount Kilimanjaro or visit the spice island of Zanzibar in one of the most diverse natural landscapes in the world. Tanzania is a great base from which to explore the vast African plains, and the country itself is rich in history and culture. The people are friendly and welcoming and there are always good times to be had. It is not a rich country, and usually you can only work if you have secured a position before you enter the country, but there may be volunteer work available in schools. The best time to visit is during the dry season that runs from June to October. A tiny island packed full of beautiful beaches, stunning temples and offering the opportunity to experience this corner of Asia away from the tourist trails of Thailand, Sri Lanka is the perfect place for those looking to really get away from it all. See elephants in the wild, or climb high to see mountains in the sky, Sri Lanka is becoming more popular for backpackers, so go now to see it before everyone else does. You cannot work in Sri Lanka but you may be lucky enough to help out with conservation projects. The best time to visit is between December to March, or again between April and May. 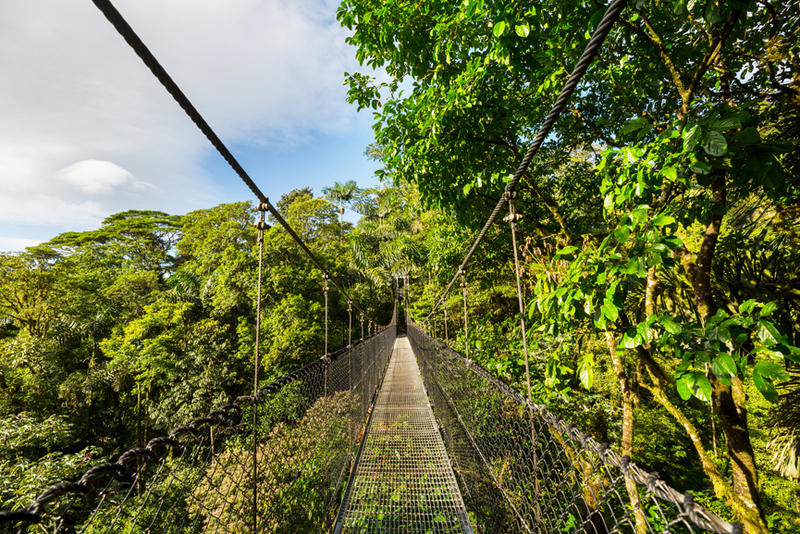 Costa Rica is known as the happiest country on earth, and we can easily see why. From adrenaline-pumping activities like zip-lining tours, whitewater rafting, kayaking, scuba diving, cliff diving and sky diving to beautiful beaches and stunning scenery, the Central American country has something for everyone. Costa Rica is one of the safest countries in the region for foreign visitors, you should be able to enjoy every inch of this amazing country as you travel. Working will be hard as you would need a Visa arranged before you leave the UK, but there may be volunteer opportunities open for teaching English and also conservation projects. The best time to visit is mid-December to April. Spain is a great destination for backpackers. It is easy to get to on a budget, the weather is great all year round and there is plenty to see and do. 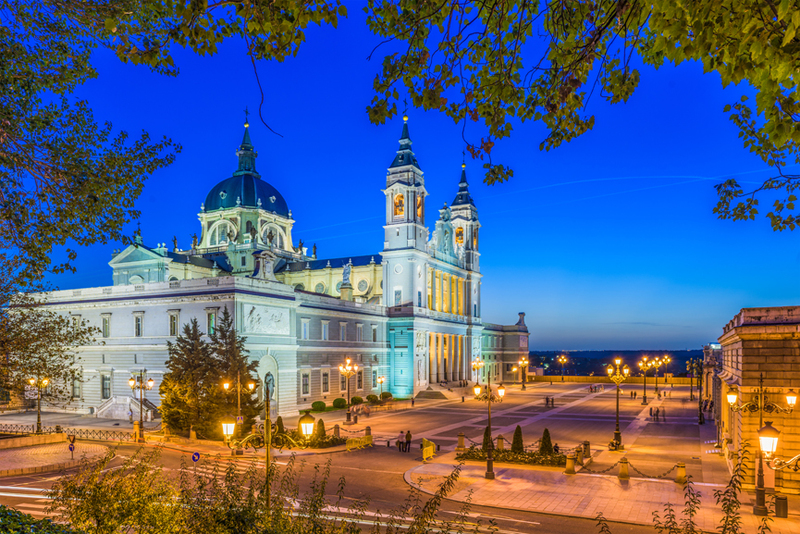 Away from the famous coastal resorts of which there are many, you can explore stunning Iberian cites like Barcelona and Madrid, or explore the peaks of the Cantabrian Mountains or travel back in time to the medieval towns and villages that can found across rural Spain. Working in Spain is straightforward enough, and you should be able to find plenty of work in larger towns and cities. If you want real job satisfaction working as an English teacher is a great way to meet local people and understand the culture of the country. You can visit all year round, although the summers can get very hot in some areas. From the dry arid expanse of Sossusvlei, to the Cape Cross Seal Reserve in the Dorob National Park, this West Africa land mass is a full of surprises. 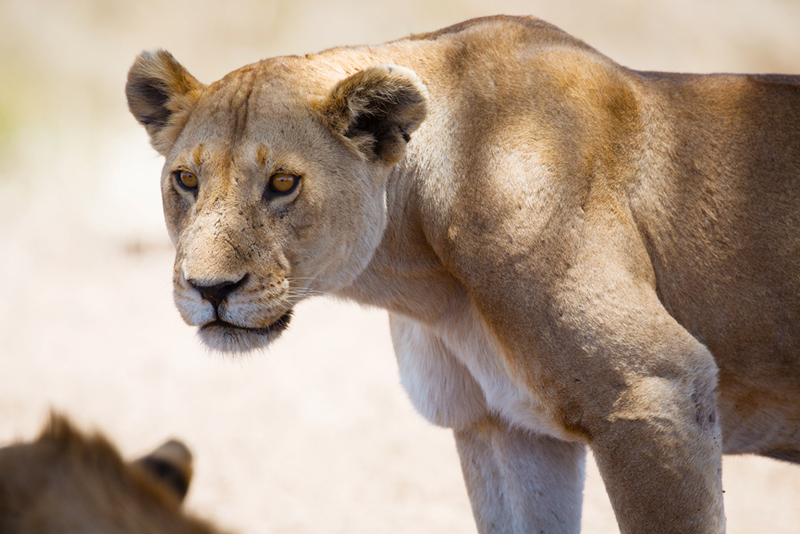 Try to catch a glimpse of the lions, elephants, black rhinos and giraffes in the Etosha National Park. 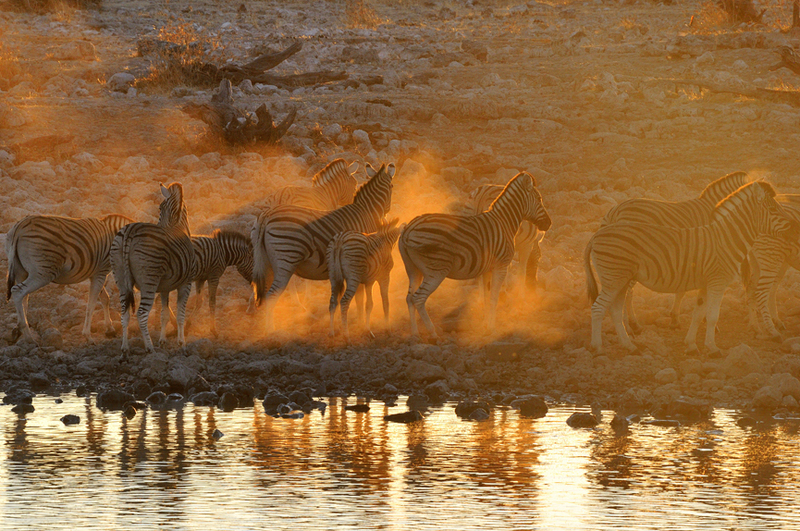 Namibia is all about the superb natural landscapes and rare beasts that live there. If you want to experience Namibian culture at its finest visit the cities of Windhoek or Swakopmund to discover the history of the country and its European influences. You won’t find work here, but if you are interested in conservation there may be volunteer opportunities to be found. The best time to visit is during the dry season is June to October. 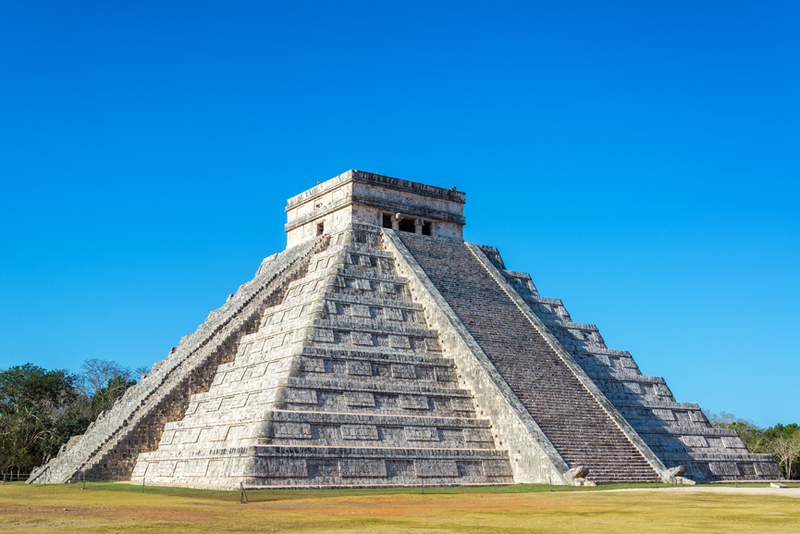 From Aztec pyramids to colonial Spanish towns and cities, Mexico is a welcoming and vast country that could take a lifetime to explore fully. Mexico City is vibrant and exciting, or travel to the silver town of San Miguel de Allende, itself a Unesco World Heritage site, and you will feel like you have stepped into a Mexican film set. You can visit the famous resort destinations like Cozumel or Cancun to get your beach fix, or stay away from the crowds as you explore archeologically import sites like Monte Alban, or see the butterflies in the Biosphere Reserve in Michoacan. 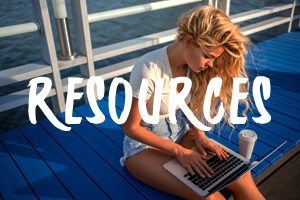 Working in Mexico can be difficult, but you may be able to find volunteer work teaching English or helping in the tourist resorts popular with North Americans. 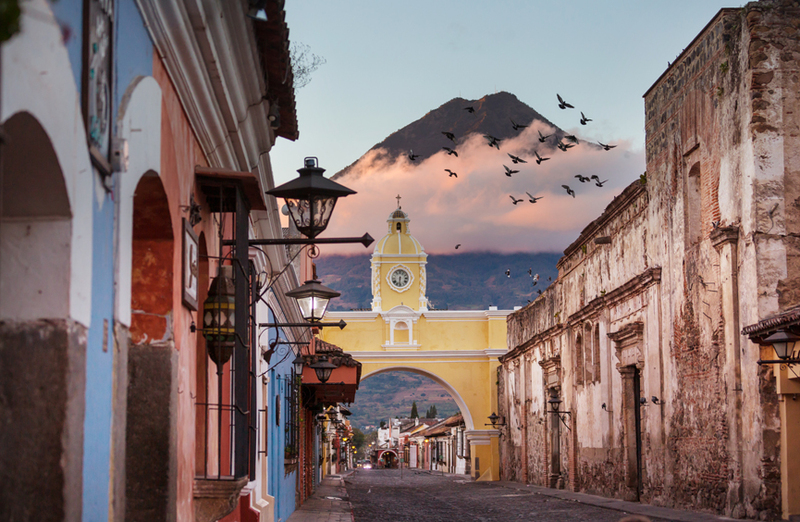 Bordering Mexico, this Central American country offers diverse and sometimes challenging landscapes that make for the backpacking destination of a lifetime. From the waterside villages surrounding Lake Atitlán, to the country’s vast volcanic mountain ranges or the extensive Mayan ruins at Tikal, Guatemala will take your breath away. Working here is probably not practical but you may be able to volunteer as an English teacher or work on the famous Guatemalan turtle conservation projects. The best time to visit is November to February. Canada is the second largest country in the world, and offers so much to see and do. 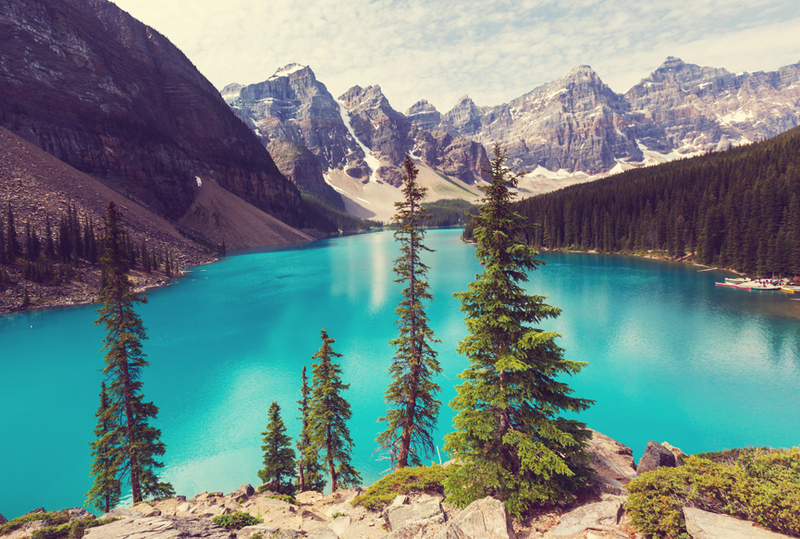 From the natural wonder that is Niagara Falls to the impressive mountains ranges in The Rockies, Canada is home to some of the most impressive natural landscapes in the world. Cities like Vancouver, Montreal and Quebec are all unique in their own way. The Yukon Valley is perfect for thrill seekers looking to try canoes and kayaks, skiing or snowboarding. Unlike the neighbouring United States, Canada is open to employment for foreign nationals from the UK, provided you have the right Visa documentation in place. The best time to visit will depend on how far north you intend to travel, as conditions can get very cold in the winter months. 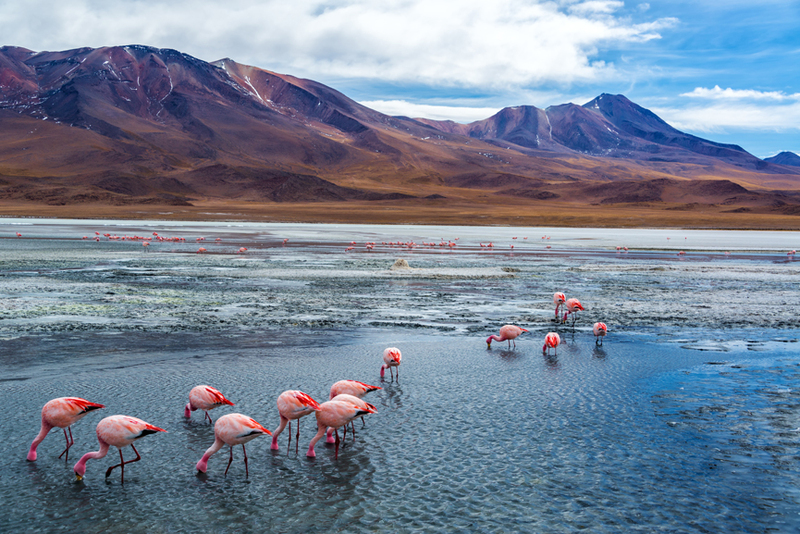 Bolivia is an intense and wildly diverse place to visit, that will open your eyes to the natural beauty of the region, juxtaposed with an intriguing culture. From the distinctive rock formations that can be found in the Valley of the Moon to the ancient ruins and traditional villages of Lake Titicaca the country has plenty to offer. The historical city of Santa Cruz is a glimpse into colonial times gone by, whilst the Andes Mountains, the Atacama Desert and the Amazon Basin rainforest are all examples of Mother Nature at her finest. If you would like volunteer here to, there are plenty of ecological and conservation volunteer opportunities to be found across the country, whilst English teachers are always needed in larger towns and cities. The best time to visit is from May until October. Which destination would you most want to go to? Did your favourite not make the list? Let us know in the comments below!